Let’s take a look at Tennis facts trivia that will be of great interest to passionate tennis players and fans alike. Tennis was played as an official Olympic sport in the year 1896. Later in 1924, due to some controversies, it was removed from the Olympic Games listing but was again added in 1988. The first Wimbledon Tennis Competition took place in 1877 for amateurs and men only. Of the 22 competing players, the championship was won by Spencer Gore. Helen Wills was the very first woman of American descent to play tennis and win the French Open in 1928. In 1917 during World War I, the US open was called the Patriotic Tournament. The men’s singles Wimbledon championship of 1936 was won by British tennis player Fred Perry. This was the last tennis victory in this category for the British thus far. The US attained a remarkable position in Tennis when Arthur Ashe won the men’s singles and Virginia Wade won the title for Women’s singles in 1968. One of the most interesting facts is that, until 1933, the dress code for Tennis was not too fashionable or trendy. Then, chic looking tennis shorts were worn on the court by Bunny Austin in 1933 and since then, players continue to follow the trend. Battle of Sexes, a male vs. female tennis game was played in 1973 in which Billy Jean King defeated Bobby Riggs. It was a huge success for Billy Jean, as there were around 30,000 spectators watching the game. Gustavo Kuerten, a tennis player from Brazil defeated Andre Agassi in 2000 and won the very First Tennis Master Cup. Les Internationaux de France de Roland Garros and Tournoi de Roland-Garros are the two other terms used for The French Open. The most amusing Tennis facts trivia is that no one knows the reason why a “0” is called Love. Borris Becker won the Wimbledon singles championship in the year 1985 when he was just 17. Steffi Graf has won each of the four grand slam events at least four times. The longest recorded tennis match lasted for 6 hours and 33 minutes. The match was played between Arnaud Clement and Fabrice Santoro. The shortest match recorded was just 20 minutes when during the Wimbledon tournament of 1969, Susan M.Tutt beat Marion Bandy; the score was 6-0, 6-0. In the past, the guts of tennis rackets were made of sheep and cow guts. Tennis facts trivia reports that the youngest Wimbledon Women’s Champion of the previous century was Martina Hingis. At the end of the 1999 French Open, Martina stormed off the court and was later returned by her mother. Tennis balls must weigh from 2 to 2 1/16 ounces. Tracy and John Austin are the American brother and sister pair who won the mixed double championship of 1980 Wimbledon. Jimmy Connors was the only player to actually win the US Open on 3 surfaces; he won two Forest Hills surfaces and one surface at hardcourt on the Flushing Meadows. The Women’s Australian tournament started in 1922, whereas the Men’s started in 1905. 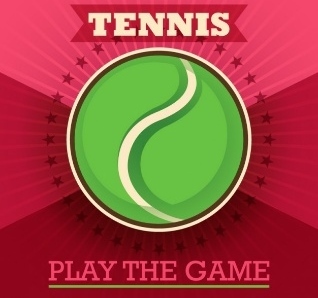 Have we captured your interest in the popular game of tennis? If you want more, there is a 3-part glossary and quiz at gamerisms to challenge all players and fans. The first golf tournament was held on October 17, 1860 at the Prestwick Golf Club in Prestwick, South Ayrshire, Scotland. The tournament consisted of 3 trips across the course’s twelve holes, although 4 of the greens were played twice. The winner of the tournament was Willie Park Senior.